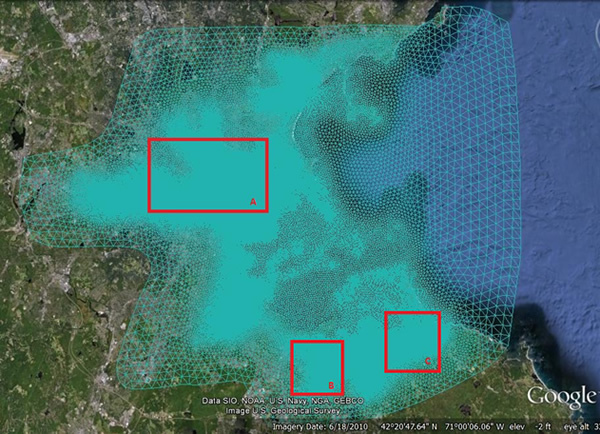 The Mass Bay/Boston Harbor inundation FVCOM domain is configured with sub-regional unstructured grid with a horizontal resolution varying from ~ 400-500 m over the shelf to ~ 10 m inside the harbor. 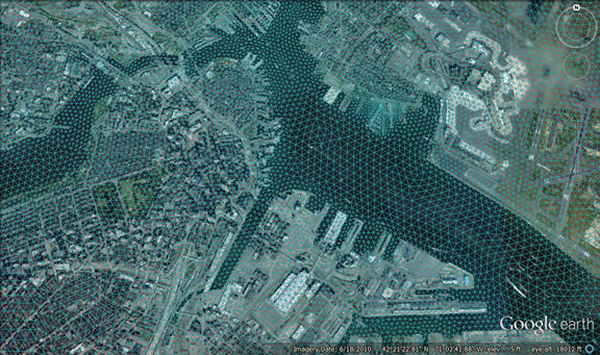 In the vertical, a total of 10 uniform σ-layers were specified, with a vertical resolution varying from 1.5 m over the shelf to 0.1 m or less along the coast where the water depth is 1 m or shallower. 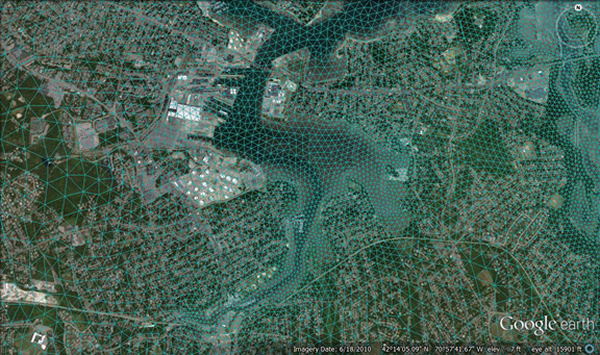 The Mass Bay/Boston Harbor inundation FVCOM is driven through a one-way nesting to GOM-FVCOM and FVCOM-SWAVE with inclusion of wave-current interactions. 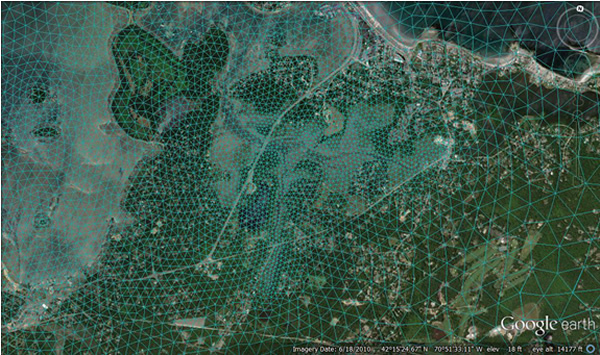 The forecast variables include: sea level, wave height, wave frequencies/periods, three-dimensional water currents.